Our employees are the most valuable resource of the TORAY Group (Malaysia). We provide our employees with excellent opportunities and compensate them based on their performance and capabilities. We aim to be a business group that maintains an energetic and enthusiastic workforce of people who find value in work, develops their abilities, and embrace and overcome challenges. 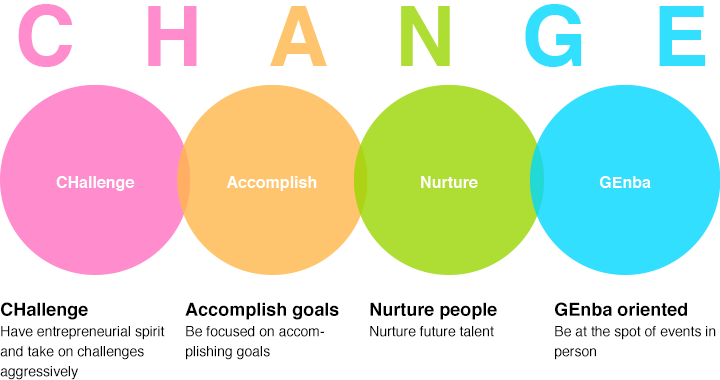 CHANGE is the standard of behaviours and actions which every employee is expected to follow at TORAY Group (Malaysia).